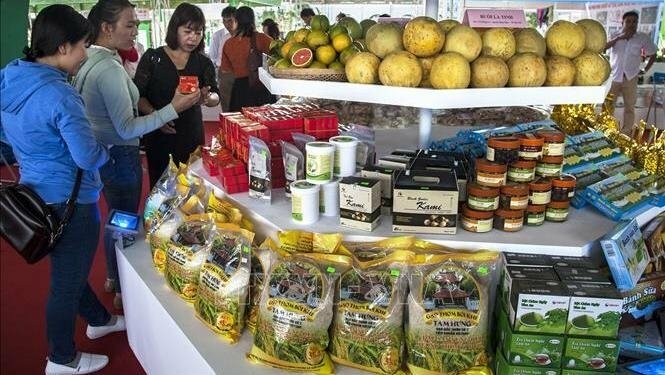 A trade fair featuring hi-tech agriculture and safe farm produce from the Mekong Delta region opened in Rach Gia city, in the Mekong Delta province of Kien Giang, on November 8. The fair includes nearly 200 pavilions by agricultural cooperatives, farms, craft villages and firms in the areas of hi-tech agricultural production, consumer goods, fashion, cosmetics, pesticides, and agricultural machinery. 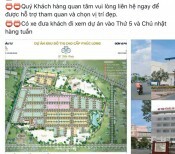 The pavilions are showcasing agricultural potential, strength, and the achievements of provinces and cities in the Mekong Delta region, particularly the four provinces of Hau Giang, An Giang, Kien Giang and Can Tho. Dao Van Ho, director of the Trade Promotion Centre for Agriculture under the Ministry of Agriculture and Rural Development (MARD) said that the fair promotes agricultural achievements, especially hi-tech agricultural development and safe agricultural products, and is also a venue to connect firms and boost localities’ trade promotion. During the six-day fair, two workshops will be held including a workshop on the linkages in the production and consumption of hi-tech agricultural products and safe farm produce and another on the application of high technology in agricultural production. 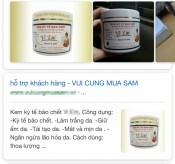 The trade fair is being held by the MARD in coordination with the People's Committee of Kien Giang province./.